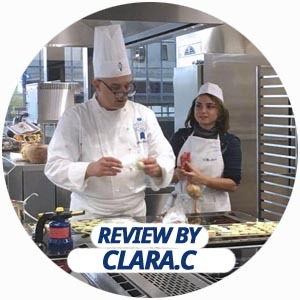 Le Cordon Bleu Paris proposes a range of short term culinary discoveries for those with a passion for the art of cooking: cooking classes, pastry classes, boulangerie workshops and enology lessons. These culinary workshops take place in practical or demonstration classrooms and give participants as much exposure as possible to the environment of a professional kitchen. Only 16 people per practical room under the supervision of one of our Chefs to work on techniques and recipes from a to z.The day of their workshop, all participants will enjoy a 10% discount at La Boutique (except on books) and will receive an apron, a tea towel and cooler bag to take their cuisine or pastry creation home. See below the reviews and testimonials of previous cuisine workshop and lesson participants or on TripAdvisor. They have all taken part in one of the workshops available at Le Cordon Bleu Paris in a room specifically designed for this purpose. Where do Le Cordon Bleu Paris cuisine workshops take place? 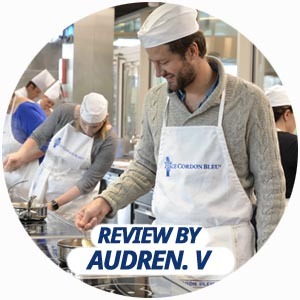 Le Cordon Bleu Paris offers a range of workshops and lessons in cuisine, pastry, boulangerie, freshly baked pastries and many other specialities ,which take place in its Institute, located at 13 Quai André Citroën in Paris’s 15th district. For cuisine lessons, Le Cordon Bleu Paris institute welcomes all the Chef apprentices to a working environment which is dedicated to learning traditional French cuisine. To find out more, head to the workshops pages. Are you looking for a gift for somebody for their birthday, wedding, leaving present or any other occasion? Does the person in question like cooking and getting hands-on to make ever more innovative dishes? 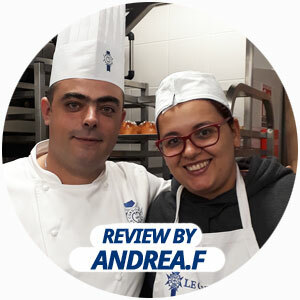 Just a few clicks will enable you to give them a gift voucher for taking part in a cuisine workshop or lesson at Le Cordon Bleu Paris.